KX Extruded Carbon Filters with Lead Removal KX MATRIKX +Pb1 | Applied Membranes Inc. The KX MATRIKX Pb1 is a powerful, multifunctional filter cartridge for residential and commercial water treatment, providing exceptional lead and cyst reduction (including Cryptosporidium, Giardia, Entamoeba and Toxoplasma). 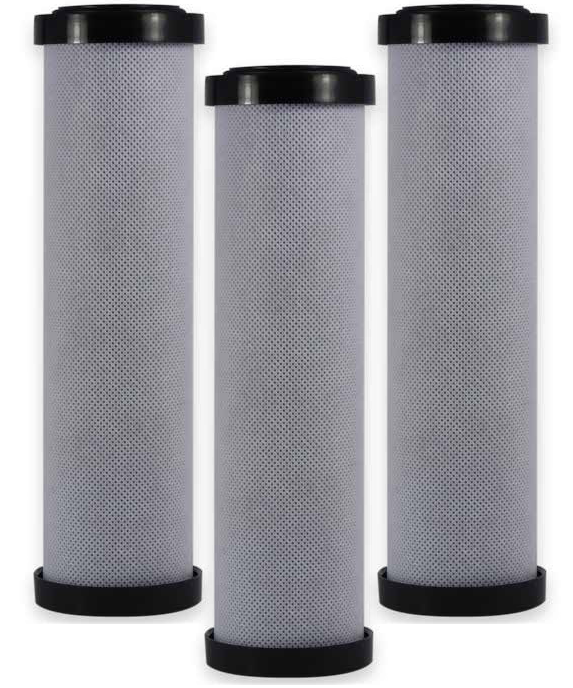 KX MATRIKX Pb1 activated carbon block filters reduce soluble lead using an ion-exchange ­filter medium with high specifi­city for soluble lead. Particulate ­filtration is used to intercept insoluble lead-containing particles. Manufactured with KX’s proprietary extrusion process, MATRIKX Pb1 fi­lters offer high levels of chemical reduction in potable drinking water, including chlorine taste and odor. 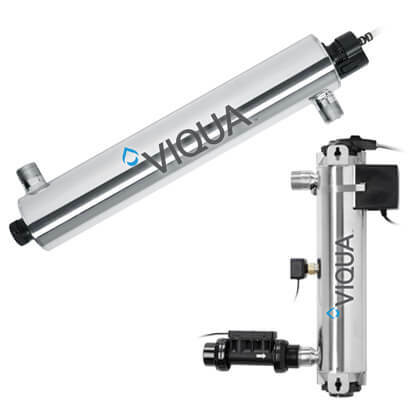 0.5 micron nominal filtration for removal of cysts, sediment, dirt, rust, and suspended solids. Exceptional lead, turbidity and cyst reduction (including Cryptosporidium, Giardia, Entamoeba and Toxoplasma): for safer, healthier drinking water. Chlorine Taste and Odor Reduction as well as Dirt and Sediment Removal for better tasting drinking water, and protection of downstream equipment. Nominal filtration rating of .05 Micron. Excellent VOC and chemical contaminant reduction. 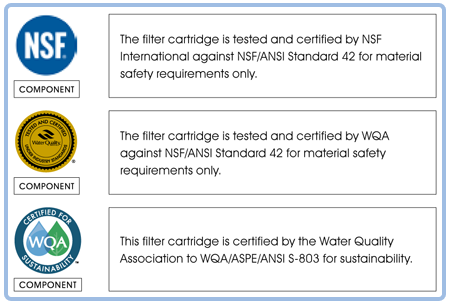 NSF and WQA certification for Material Safety. KX Matrikx Pb1 filters, powered by GreenBlock, are made from 100% coconut shell carbon, a renewable, and ecologically sustainable material. The carbon is processed into blocks using a unique binder system and proprietary manufacturing techniques to produce filters with a greater number of micro-pores and available carbon surface area, which display superior adsorption capacity and kinetic dynamics.